Grammar matters: a grammar pep talk. 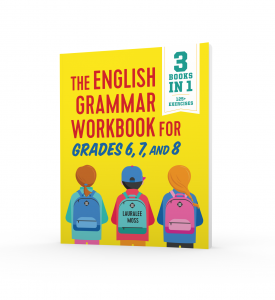 Grammar books exist for classrooms. Common Core and state standards dictate that grammar be taught. Standardized tests and college professors assume students understand grammar. It’s a weird combination, and teachers are hungry for best practices teaching grammar. Still, people ask me questions about showing students that grammar matters and that is applies to their lives. It matters how we teachers teach grammar! I remain passionate about grammar and helping other teachers weave grammar throughout their language arts lessons. 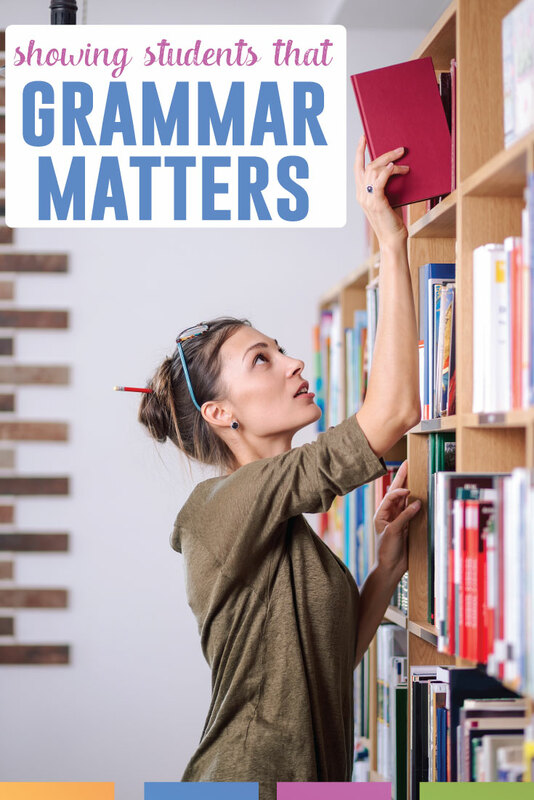 Here are key ideas for how I show students that grammar matters. Include grammar in every part of the ELA classroom. Think about other parts of an ELA course. Think about literary devices, for example. Teachers discuss theme, figurative language, and setting with short stories. They also cover literary devices with nonfiction, plays and novels. When students write, teachers ask them to add figurative language to give their readers a visual image. When watching a movie or a speech, a teacher will point out unique uses of literary devices. Do teachers apply grammatical sense in the same way that they would literary devices? Probably not. Talking about pronoun use a specific verbs in a passage might seem forced at first, but after time, finding grammar in the written and spoken word will come naturally. Need help? I use mentor sentences with The Great Gatsby and The Hunger Games. Connect grammar to students’ lives. What punctuation is used? Is it used correctly, or did someone take liberty with it? Look at the modifiers. Are they used correctly? If they are not, what word could be used instead? Are words deceptive? 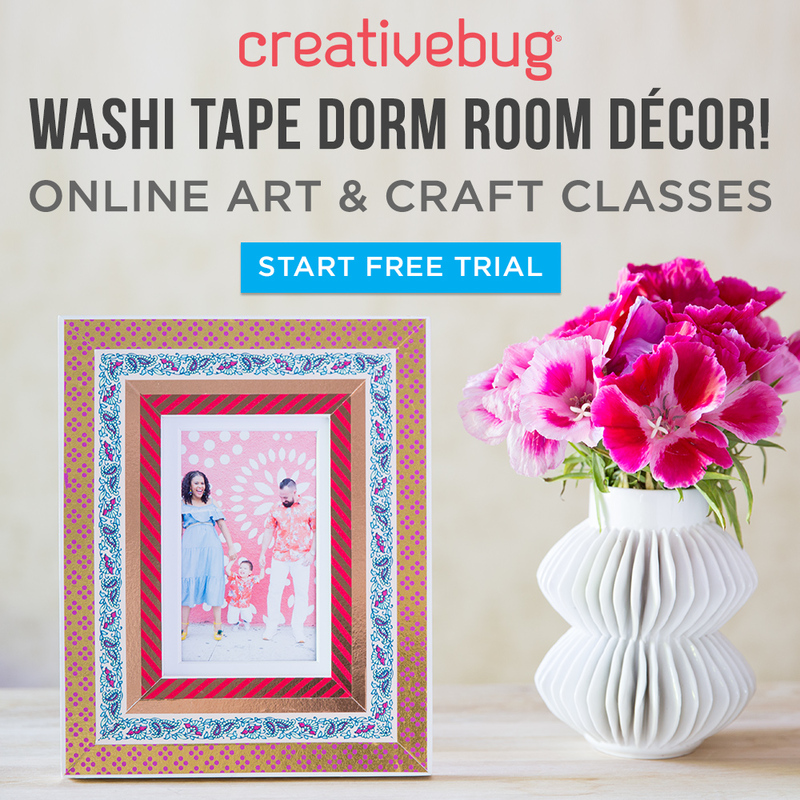 Do the meaning of the modifiers align with the images and message? Is something specifically stated, or is the message implied? If you ask students to summarize a speech or commercial, ask them to show you where they found that information. The nouns and verbs used can be tricky, and we should show students that words can manipulate them. More ideas? I use Language One Pager and Activities to dissect marketing in food. Use domain specific terms when grading writing. Grammar is so much more than rules. In fact, I daresay that grammar provides more of an analytical tool for students than it provides rules. Knowing that, don’t shy away from using the terms with students. Does a student have misplaced modifiers? Habitually forget the comma with an introductory dependent clause? Use unclear antecedents? Should he work on stronger verbs? Could she vary the types of sentences used? Don’t forget to show students that a knowledge of grammar can improve their writing. Getting started? When you address common writing errors with students, provide them with model sentences and sentences to correct. Finally, on an anecdotal notes, I’ve seen students enjoy grammar. Many times, students who don’t really enjoy literature or writing find grammar interesting. You might feel awkward teaching grammar at first, but with practice, you will use grammatical terms as easily as you use literary devices. Taught the correct way (connected to other parts of an ELA course), grammar is interesting – and powerful. Teaching grammar can be a way to empower students. Grammar matters, and not teaching it takes away an important opportunity from students. Grammar shouldn’t be just a unit or a stand-alone activity. 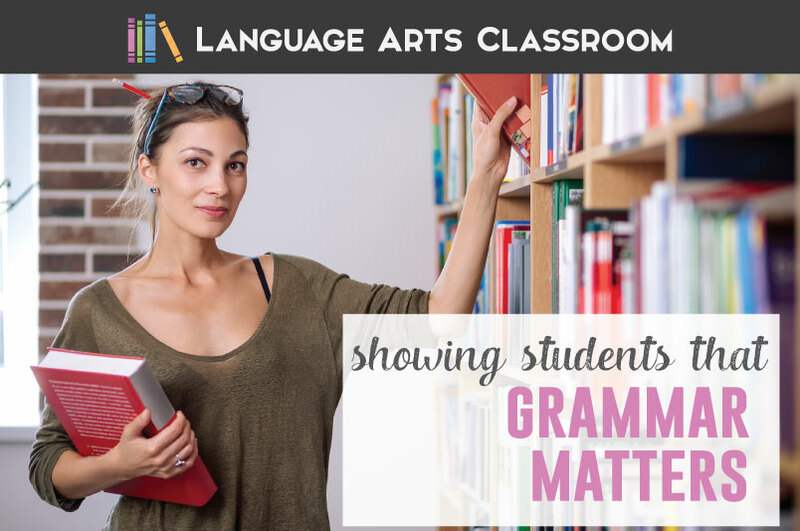 If you believe grammar matters and are starting to incorporate grammar into your ELA classes, consider trying some of the above ideas.